How can I create MMD pictures like a Pro? What effects will make my MMD pictures better? 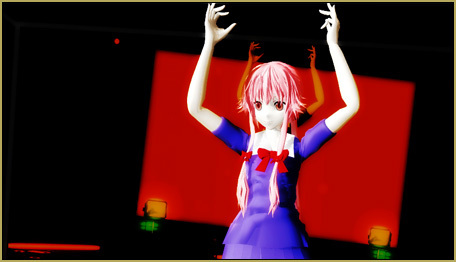 What effects will enhance my MMD pictures? How can my MMD pictures become “art”? How To Make MMD Pictures and Videos Like a Pro! Hi guys! My name is Sakura Xaviera but you can call me Xav. 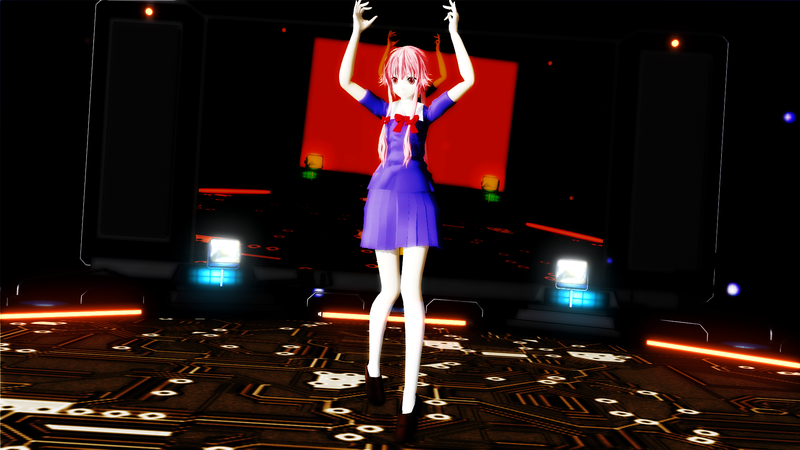 I am a student, I have made an UTAU voicebank, and I enjoy creating pictures with MikuMikuDance… so, I’m gonna show you how to make MMD Pictures and Videos like a pro. Gasai Yuno on-stage! Click for the full-size image. 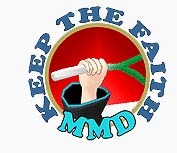 In this tutorial, use must have MME installed in your MMD. I am gonna use Gasai Yuno because she is my favourite. You can use any model you like. But I don’t recommended LAT models because it will break the model’s face. Now you see there are outline lines on the model. Some people don’t know how to make them disappear so I’m gonna tell ya how to do it. You click “view(V)” and then choose “thickness of edge line”. You click that and slide the pointer to zero, like this… and those lines will disappear! I like to use the GreenerShader Pack effect. If you don’t have it, you can download it here! You open the file and there will be another file named “プリセット“. Open the file and search for “GreenerShader_ES_NEUTRAL.fx“. Use MME effect mapping to add the effect to the model. Now change the light manipulation X to +0.3, Y to -0.1 and Z to +0.5. REGISTER. First add SelfOverlay. You can choose any of these three… o_SelfOverlay.x, o_SelfOverlay_Blur.x or o_SelfOverlay_Soft.x . Open o_BleachBypass and select o_Bleach-bypass.x. and set the Tr in the accessory manipulation to 0.40 or 0.50. Adjust it as you like. Then add o_Tonemap.x and of course its in the o_Tonemap file. 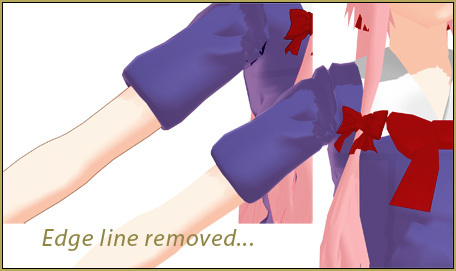 If you applied these effects on TDA model, you can see there are lines in the model’s hair. If you want it to disappear, download ExcellentShadow. And… that’s all from me! 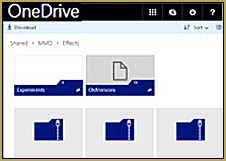 Even though the OneDrive page you refer to contains a lot of useful effects, I can’t find o_Tonemap, o_SurplusFilter and o_SelfOverlay there.